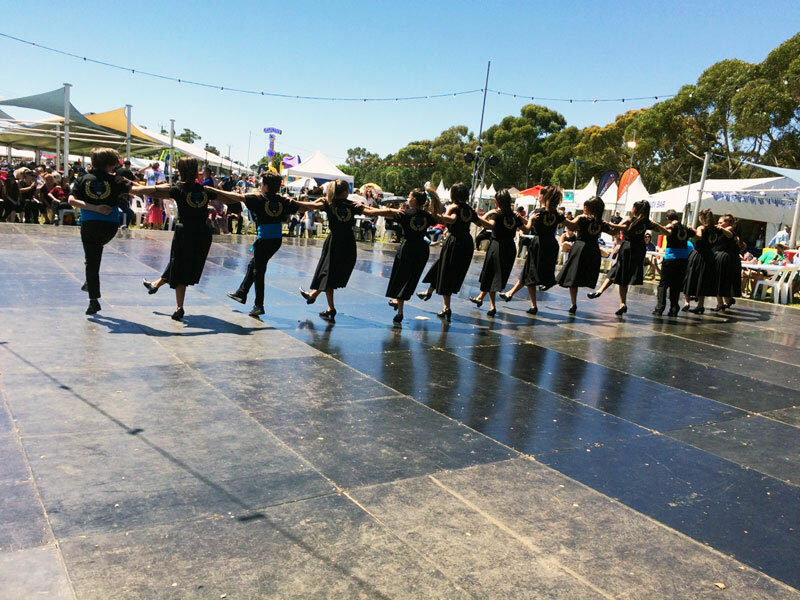 The Messinian Association of SA at " Glendi 2016"
Glendi this year took place in the heart of Adelaide’s picturesque parklands, at Bonython Park on 26 & 27 November. 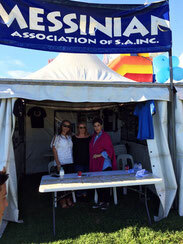 The Messinian Association was once again present at Glendi with an exhibition tent showcasing the community engagement of the Messinian Association, the MA Hawks Football Club and the Messinian Dance School. 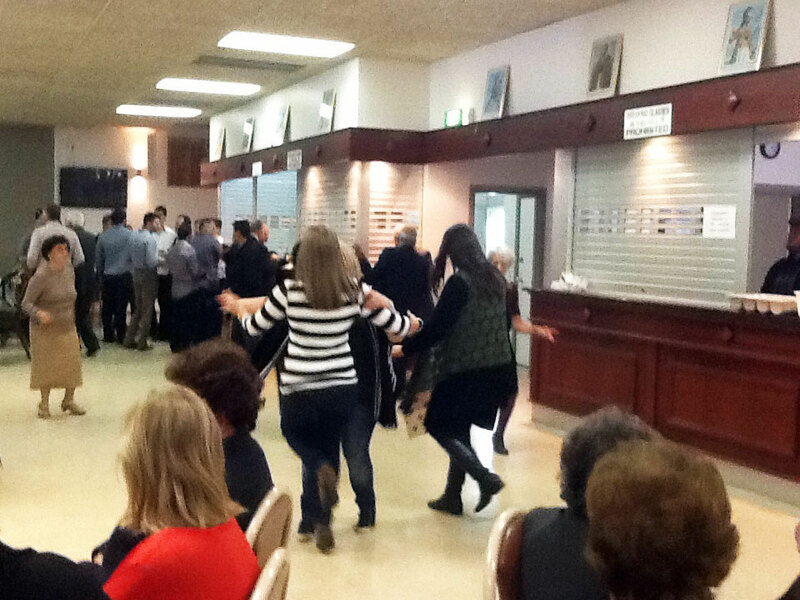 Our Messinian Dance Group also made a strong appearance at this year’s Glendi performing a number of dances for the benefit of all the visitors. 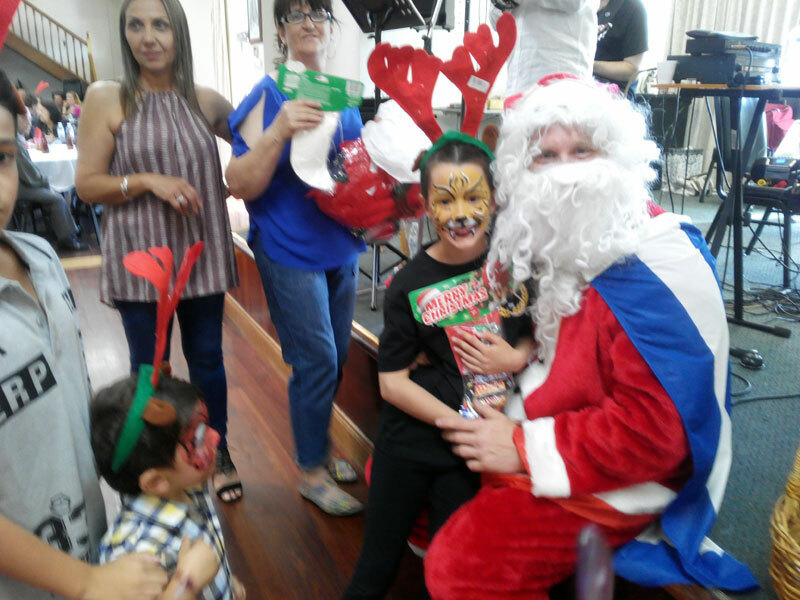 The Annual Christmas BBQ which is dedicated to the children of the Messinians and their friends took place at the Messinian Hall on the 27th of November 2016. 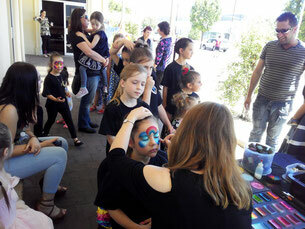 The Hall was filled with families and children of all ages. And of course Father Christmas himself dropped in to see the children and personally collect their Christmas stocking and a pair of red reindeer antlers. The Consul General Mr. Andreas Gouras with his family joined us to and the Vice Consul Athanassios Mourousias who is also of Messinian descent. On October 30th more than 300 Messinians, with their families and friends gathered at the October BBQ to celebrate and remember two significant events, namely the 57th anniversary of the establishment of the Messinian Association in 1959 and the commemoration of Oxi Day on the 28th of October 1940. On this day the Greek nation led the way in resistance against Hitler and his allies. 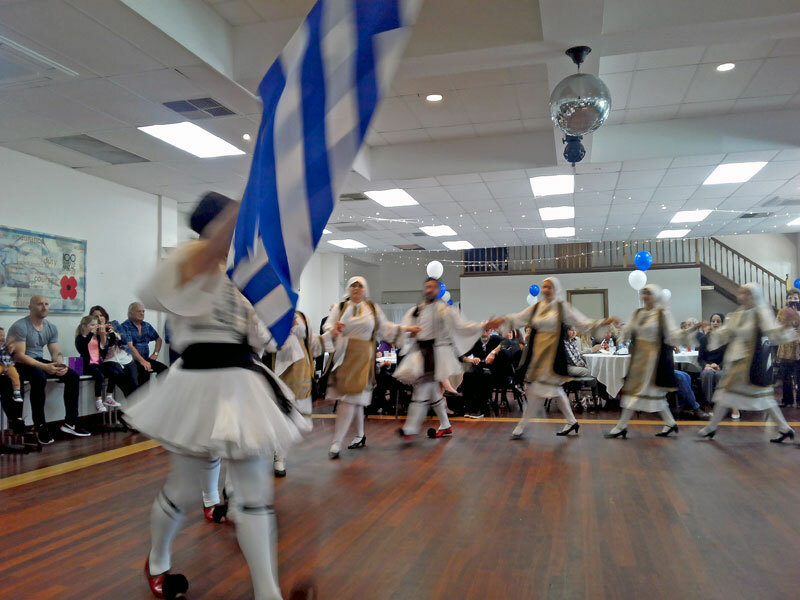 In honour of Oxi Day and the Greek people’s brave resistance, the Messinian Hall was decorated in blue and white the colours of the Greek flag. The President Ms. Martha Ioannides welcomed the Messinians and friends and remarked on the significance of the October 30th BBQ which was commemorating two important anniversaries for the members of the Messinian Association. 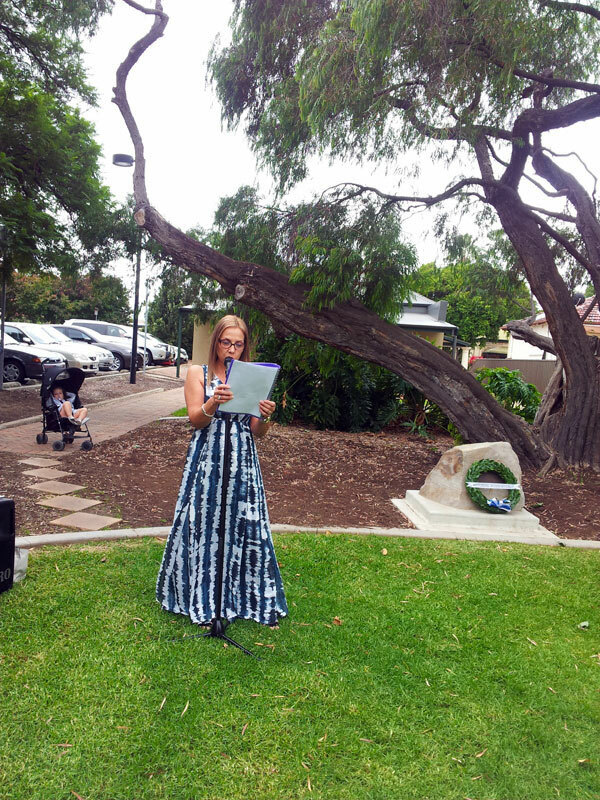 Ms Ioannides reminded all who attended of the sacrifice and the bravery of the Greek soldiers and civilians who fought to drive back the Italian invasion in 1940 inspiring the rest of the allied world. On 28th of October in 1940 the Greek Prime Minister Ioannis Metaxas said, “No” to an ultimatum made by Italian Prime Minister Benito Mussolini to allow Italian forces to occupy strategic locations in Greece or otherwise face war. Despite the fact that Greece, a country of 8 million citizens was poorly prepared for war, the Greek army and civilians men and women rallied together to stop the invasion of their country. Although the Italian Army outnumbered the under- resourced Greek Forces by more than two-to-one, the Greeks astonished the Italian generals with their courage, their strategic knowledge, their tenacity and their artillery's precision. By December 1940 the Greek forces had driven the Italian forces back deep into Albania. Greece's victory was the first land defeat of the Axis forces and provided a rallying cry for British and other European nations in their war against the Hitler and his allies. 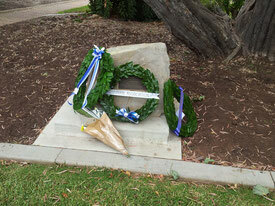 It was at this time that Churchill coined the famous phrase Greeks do not fight like heroes; heroes fight like Greeks. The President continued her address to the guests touching on the 57th anniversary of the establishment and origin of the Messinian Association in October 1959. 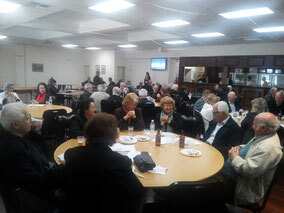 In 1959 Ms. Ioannides stated there were very few Greek organizations in Adelaide and the Association was established to provide simple entertainment, community activity and inter-community support for the Messinian migrants to combat the loneliness and isolation they felt after having left their homeland, family and friends. Concluding she mentioned that Messinian Association of SA, came into being and became the vehicle for the social and cultural activities of all Messinians. 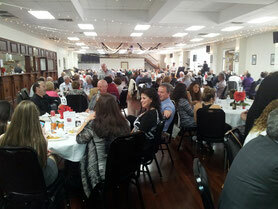 Once again she congratulated and thanked all the volunteers and supporters for their hard work, without which the association would not have achieved its objectives or fulfilled its mission. The Consul General of Greece in South Australia, Mr. A. Gouras also attended the BBQ and addressed the gathering. 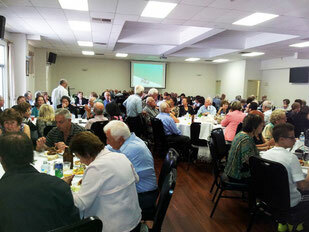 He congratulated the Association for its 57th anniversary, its work and endurance,. 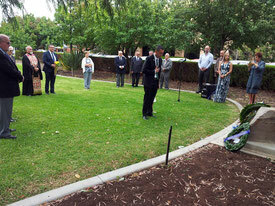 He also commented on the many achievements of the Messinian migrants who made their epic journey to Australia. The guests enjoyed a sumptuous buffet which was prepared by the Messinian women’s auxiliary and other volunteers. 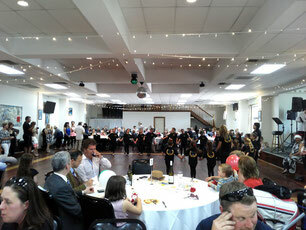 The band provided the customary live entertainment which was enriched with performances by the junior, intermediate and senior dancers of the Messinian Dance group delighting the gathering which included young and old. Congratulations to the New Management Committee Members. We wish them every success during their term in office. Για να διαβάσετε την ανακοίνωση στα ελληνικά πατήστε το download. On the 18th of September the Messinian Association of South Australia held a very successful AGM for 2016. 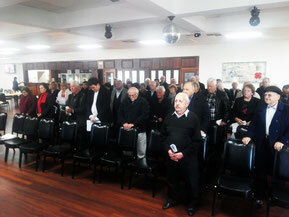 The AGM took place at the Messinian Association’s headquarters at 68 Stephens Avenue and was well attended. Pre AGM activities included an informal lunch where members had the time to gather until the necessary quorum was obtained. 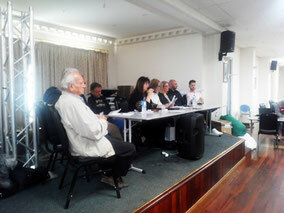 The meeting was chaired by the current President Mrs. Martha Ioannides who welcomed all the members and at 1.3o p.m declared the meeting open. The AGM received reports on progress made by the Association in all its major activities, financials and other core matters. The members were also was briefed on the performance of the MA HAWKS Football Club as well as the Messinian Dance Group. At the end of her report the President stressed the importance of the Association ‘s volunteers and thanked each one for their support and dedication without which the Association’s success would not be possible. After the Financial report was adopted the election for new a Management Committee for the period 2016-2018 was announced. 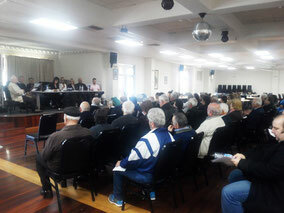 The floor was then opened to the members for discussion. At the conclusion of the meeting many members expressed their satisfaction at the positive progress made during the last 2 years and congratulated all the members of the Management Committee. 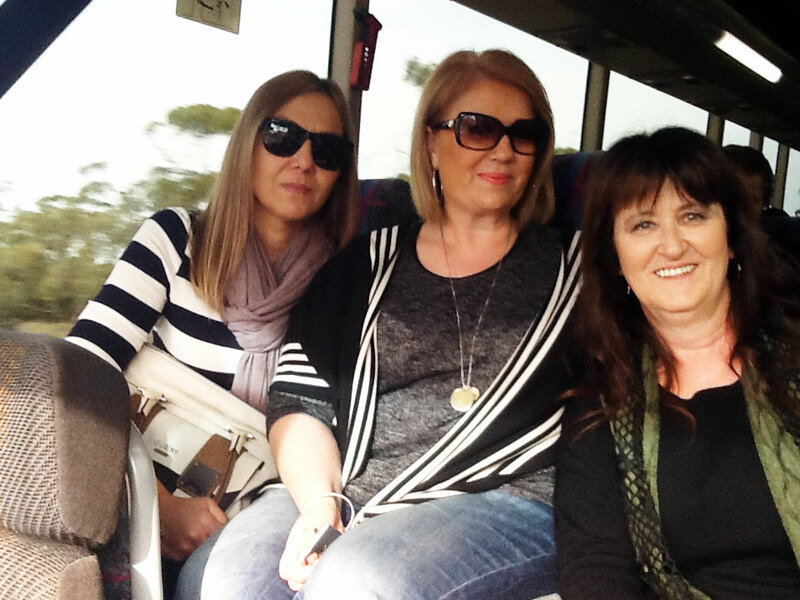 A one day bus excursion was organized on the 21/5/2016 for the members and friends of the Messinian Association of SA, in order to attend the Festival of Sts. 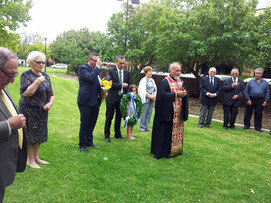 Constantine and Helen Church and its parish in Renmark. The event is held annually to honour the Feast Day of the Church and takes place immediately after the culmination of the church service. This year the Messinian Dance School was invited to participate in the Festival Saints Constantine and Helen Orthodox Church, Renmark. The excursion which was accompanied by the President of the Messinian Association, Mrs Martha Ioannides as well as the Secretary Mrs Voula Moutzouris and other members of the Executive Committee departed Adelaide early in the morning and arrived at Renmark in time for those wished to attend the church service. 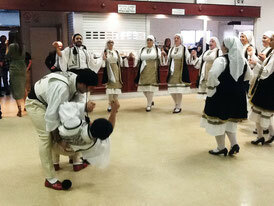 The Festival which took place in the Hall adjacent to the Church of Sts Constantine and Helen began at noon and was well attended by locals as well visitors from other towns. Finally after a full day of events, early in the Messinian bus tour returned to the Messinian Function Centre in Adelaide where the members and friends took their leave of each other. 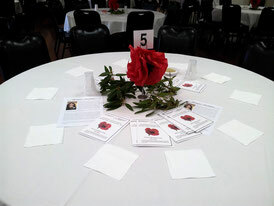 To honour this sacrifice the Messinian Association of S.A. Inc has taken the decision to honour the fallen Anzacs every year on the last Sunday of April with a barbecue buffet luncheon for its members and supporters. On Sunday the 24th of April 2016 Messinians of all backgrounds and ages flocked to the Messinian Function Centre to attend the special Anzac Centenary Commemoration lunch which was organized by the association in line with the above decision. The highlight of this event was the unveiling of two unique pieces of artwork “honour boards” commissioned by the Messinian Association and created by Ms. Niki Sperou, a Greek Australian Visual Artist of Messinian descent. 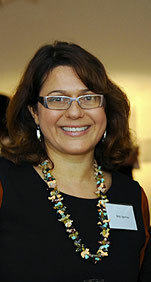 Niki has been the artist in residence at the Department of Medical Biotechnology at Flinders University and is currently the 2016 SALA Artist in Residence at the SAHMRI (South Australian Health and Medical Research Institute). Producing work informed by Classical Greek themes and contemporary scientific biotechnological innovations, in 2006, she was the recipient of the Fringe Festival Individual Artist Award for her installation titled Chimera. Following a short speech on the importance of the Anzac Campaign and the sacrifice of the Anzac soldiers by the President of the Messinian Association, Ms Sperou addressed the assembly and spoke about the ideas behind her artwork. 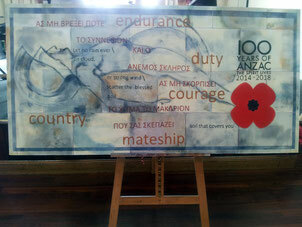 The artist drew her inspiration from the sacrifice, youthfulness, and spirit of the Anzac soldiers, the Athenian Tomb of the Unknown Soldier and the Sacred Battalion or “ Band which has been immortalised in Andreas Calvos’ famous “Elegy on the Sacred Battalion(Band)” The elegy was written in 1824 to honour the spirit and sacrifice of the Sacred Band, a military force of young volunteers , at the battle of Dragatsani. The Sacred Band founded by Alexander Ypsilantis was the first organized military unit of the Greek War of Independence (1821) and of the Greek Army in general. 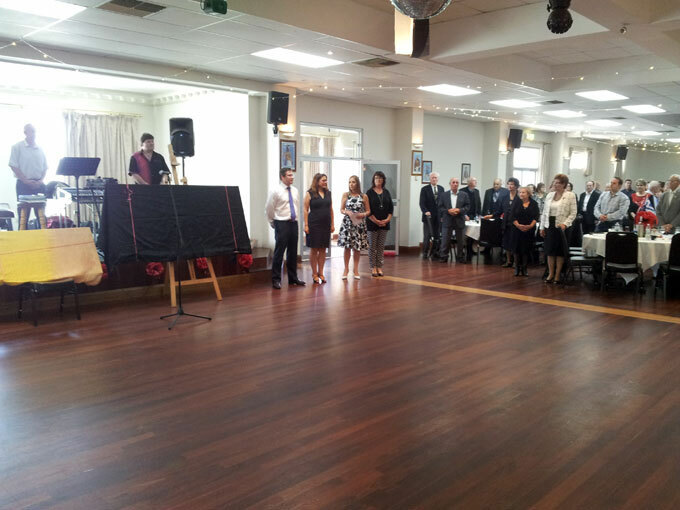 Mr. Matt Williams the Federal Member for Hindmarsh then proceeded with the unveiling the first honour board which he then presented officially to the Messinian Association of S.A. 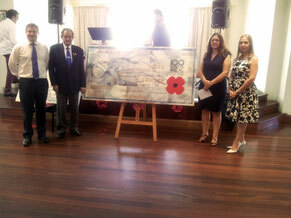 The second honour board was unveiled by Mr E Sorvanis and presented to the Greek Ex-Servicemen’s Association of S.A. 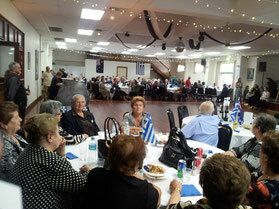 In view of the fact that the event coincided with the Greek Orthodox Palm Sunday, the buffet luncheon offered Greek delicacies in line with the Lent fasting period as well as calamari as a substitute for meat and fish which is permitted on Palm Sunday. Greek honeypuffs were also served for those wanting dessert. After the unveiling, the guests had a chance to socialize, renew acquaintances and of course dance Greek traditional dances to the live music provided by the band Notes. 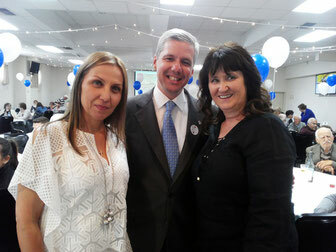 For more photos on this event please click here or go to the Photo Gallery. On Sunday the 27th of March the Messinians of Adelaide celebrated in style the liberation of Kalamata and the 195th anniversary of the Greek Independence Day. 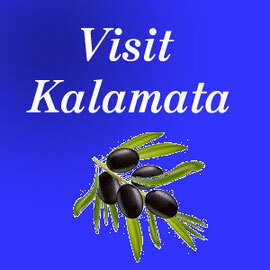 The event has double importance for the Messinians, as the Greek War of Independence began with the liberation of Kalamata and ended with the battle of Navarino, on October 20th 1827. 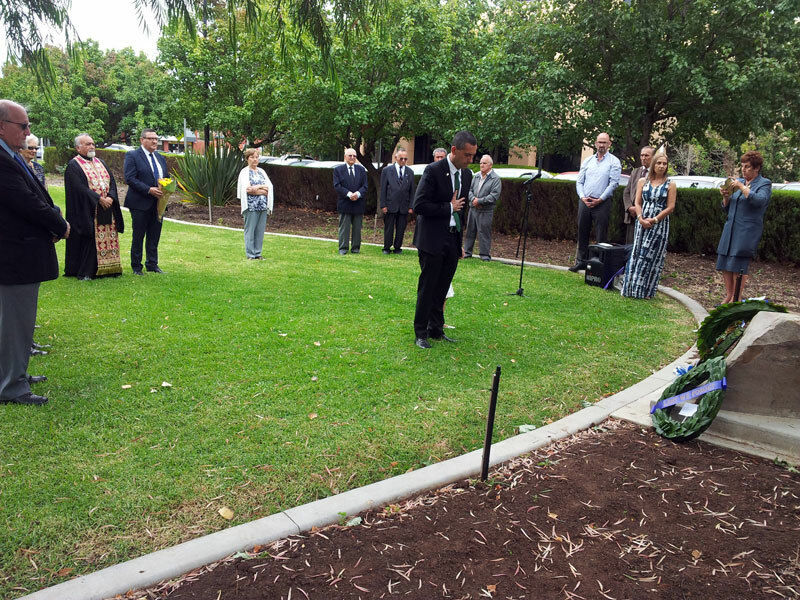 The main event included a commemorative ceremony which takes place each year at the Memorial Gardens of the City of West Torrens followed by a celebration at the Messinian Function Centre which was attended by hundreds of Messinians and their friends. The memorial service which was conducted by the very Reverend Father Diogenis Patsouris was attended by representatives from all three levels of government. 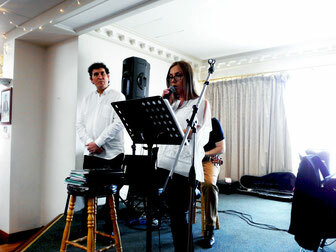 The official guests included the Hon. 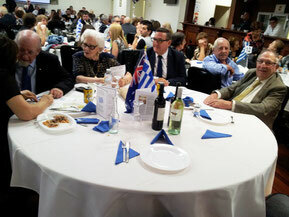 Mr. Tom Koutstandonis, Treasurer and Minister of Finance, The Mayor of the City of West Torrens, Mr John Trainer, Mr. Steve Georganas former Member for Hindmarsh, Mr. George Dimitriou, Mr. George Vlahos, Councillors of the City of West Torrens. 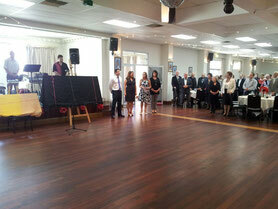 The dignitaries proceeded to the Messinian Hall and joined the other guests there. 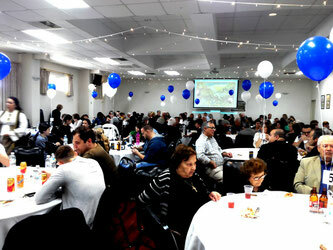 The Hall which was decorated in blue and white was packed with the members and friends, young and old. 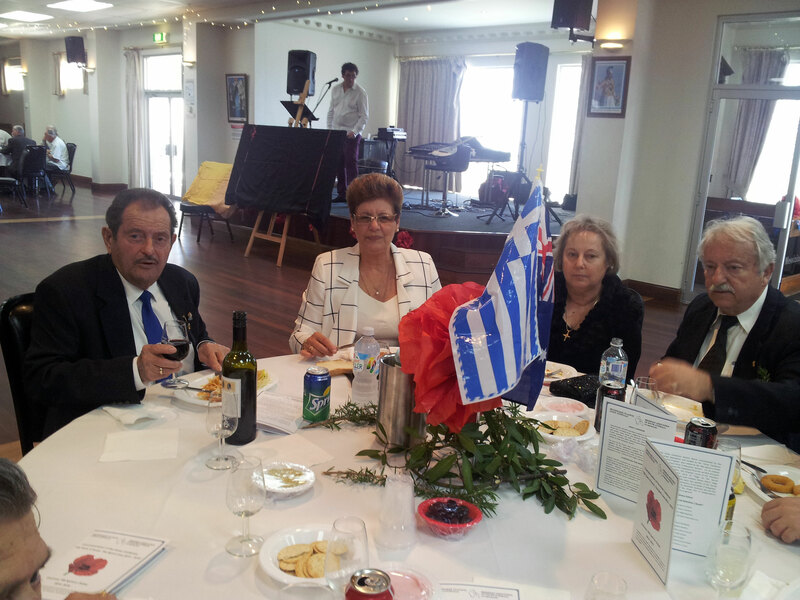 The President Mrs. Ioannides addressed the guests on the significance of the Greek Independence Day and the role that the liberation of Kalamata played in the course of events. 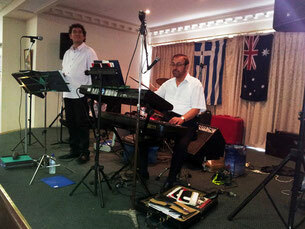 This was followed by the playing of the National Anthems of Australia and Greece respectively. 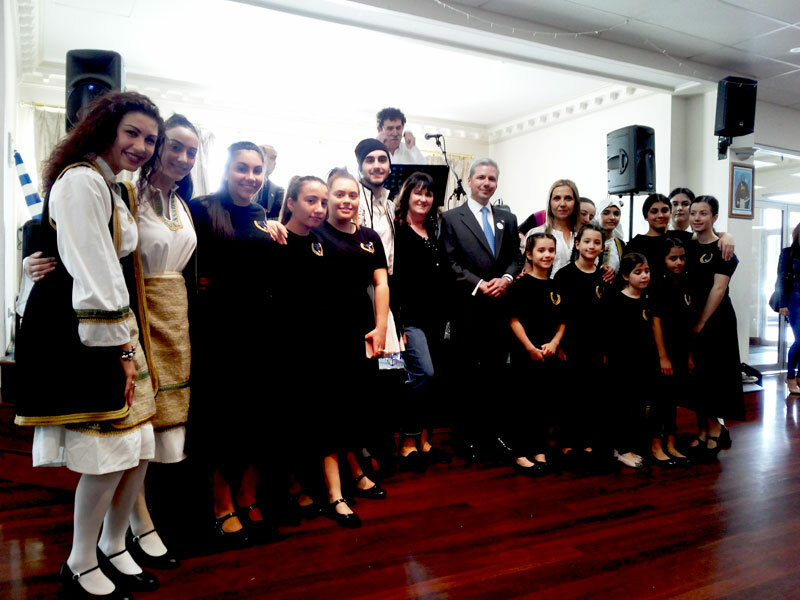 There was a short pause between the two anthems, during which the younger members of the Messinian Dance School delivered a moving performance, reciting in Greek and English the Greek National Anthem. The Greek National Anthem which consists of the first two stanzas of the poem Hymn to Liberty by Dionysios Solomos was officially translated in English by the famous writer and poet Rudyard Kipling. The guests were also entertained by the Messinian Dance Group which performed a number traditional Greek dances. 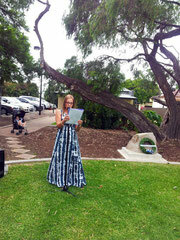 The January 2016 Barbecue which was held on the 29th of January was dedicated to celebrating Australia Day. 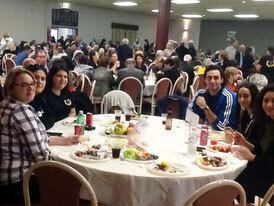 Over 250 people including Messinians and their friends attended the event. 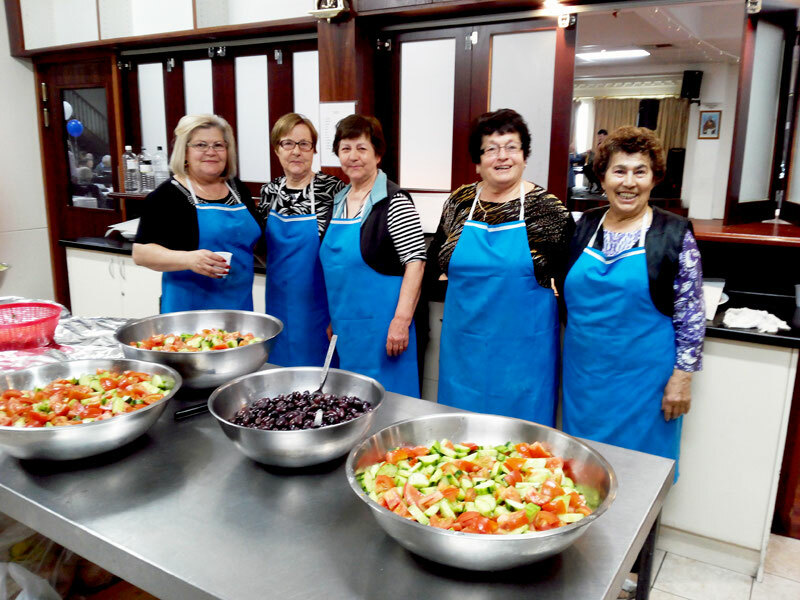 As usual there was plenty to eat with a selection of meats, fish and Greek traditional dishes such as stuffed tomatoes, giouvetsi and salads. 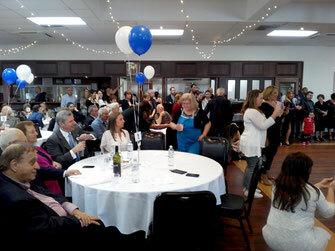 The atmosphere was jovial while the guests had a chance to socialize, renew acquaintances and of course dance Greek traditional dances to the live music provided by Vassilis and the band Zorba. 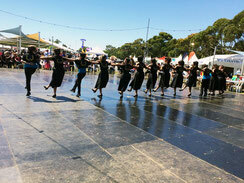 Australia is home to over three thousand Messinians who immigrated to South Australia in the late fifties and sixties in the previous century. Since then the Messinian community has gone from strength to strength, embracing its new homeland with zeal and respect but at the same time endeavours to maintain the cultural heritage of Messinia by preserving and transmitting the Messinian customs to the new generations.